Expenses stink. As a business owner or digital agency, you know this better than a lot of people. So when you get out your wallet, you want to make sure that what you are getting with your money is worth the price. All of these principles hold true when shopping for WordPress themes. Allow this resource to convince you why Modern Business Pro is worth the investment. The whole concept of what makes Modern Business Pro great (and why you probably clicked here) is the demo website that we have created. Big landing spaces and easy to find text areas and call-to-actions are displayed in the proper places to maximize the reach of your brand. To accomplish this, Modern Business Pro employs widgets and widget areas, so the experience is comfortable with other WordPress experiences you may have had. There are three widgets in particular. Displaying your address stylishly is paramount to getting people to contact your brick and mortar business. Thankfully, Modern Business Pro has an option to display your address at the very top of your page. This is a widget called Modern Business – Address that allows you to type in your business address and phone number to display it in our Header Call to Action Area. The hero space is your opportunity to type in the mission and vision of your brand in a way that is easily recognizable and visible to the client. This allows for a two column layout. The CTA is a giant button on the website that allows you to enter HTML code to link to a major landing page on your site. The color of this giant button matches the color you select for your website. We provide support and help to clients in need. You get a full year of support included with your purchase of the theme and we do our absolute best to help! Support is handled with a ticket system. You will get a response within one business day at the very latest. We promise. Here is what our theme customers are tweeting! The following content is published on our Modern Business demo site. Modern Business Pro will allow you to build a homepage that you desire within minutes -- not days. Changing colors, font-sizes, and layout is a breeze in Modern Business Pro. You don't have to be a developer. Modern Business Pro uses our Slocum Framework at its core. This means it has flexible layout options. 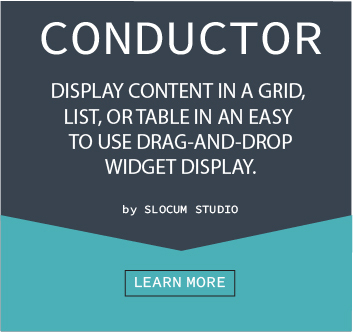 Modern Business Pro is fully compatible with our Conductor plugin. As we add more features to Conductor, Modern Business Pro receives the same benefits and unique content design displays we roll out. Modern Business Pro really shines when you leverage the live-editing and custom layouts of our Note plugin for your homepage layout. 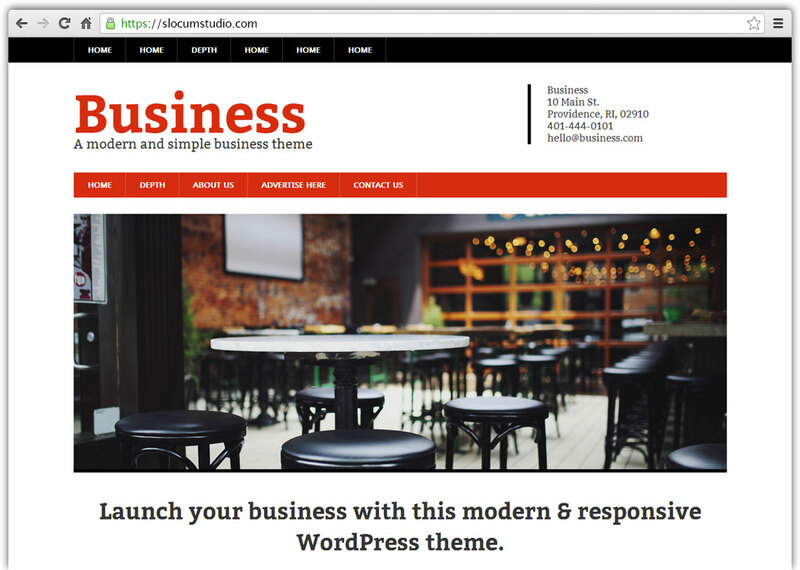 Modern Business Pro allows you to customize your WordPress website through the powerful front-end customizer. We also have documentation INCLUDED to show you how to upgrade your theme and take advantage of all these features. Learn how the upgrade process works, how to install a child theme to make code changes to the website, and how to take advantage of all the unique features of your theme.